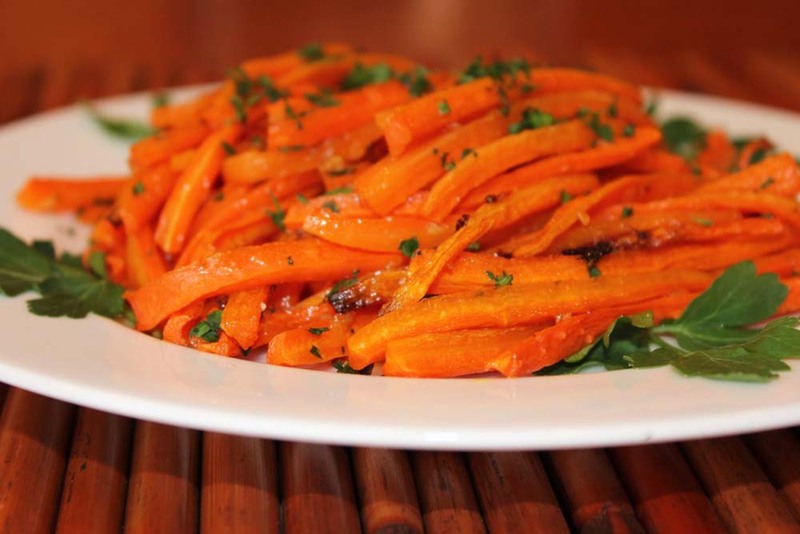 Carrots are great in stews and salads, but have you ever roasted them into carrot fries? This recipe will not disappoint! On parchment paper lined baking sheet place carrots, drizzle olive oil, garlic and sea salt over carrots. Mix together with hands. Roast carrots for 30 minutes.